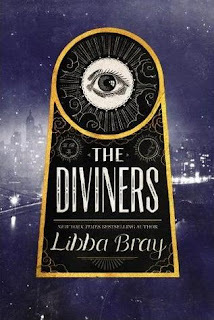 I've been a fan of Libba Bray's since discovering and devouring her Victorian boarding school/secret society/alternate world Gemma Trilogy during my undergraduate degree. Since then, she's written two standalones, Printz award-winning Going Bovine and Beauty Queens, neither of which I have read yet (though I may need to rectify this soon). "xenophobia, anti-immigration fervor coupled with a nasty nativist streak, fears of terrorism/anarchism, a backlash against labor, a rise in evangelicalism, the creation and worship of a youth culture, and the lionizing of American business and businessmen as sort of the standard bearers of ‘Americanism.’ And, of course, there’s the run up to financial collapse." So, there are many reasons to write about the 1920s today. Plus, all the fun stuff: flappers, speakeasies, Art Deco stylings, etc. (The era also makes for lovely book cover design, I must say). 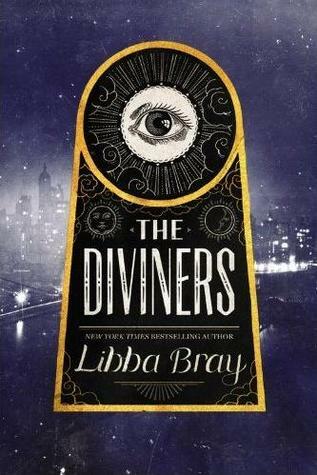 The novel begins with flapper Evie, stuck in the back of beyond in Ohio, who is sent to stay with her uncle in New York City after she causes a scandal after doing an object-reading, a talent she must keep hidden. 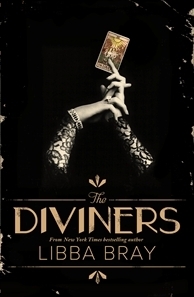 Her uncle is the curator of the The Museum of American Folklore, Superstition, and the Occult, which seems dull, until Evie, Uncle Will, and friends attempt to solve a series of occult-based killings by a mysterious figure named Naughty John. The novel sets up a great cast of characters: Evie (whom I didn't especially like for a chunk of the book, as she seeks the limelight and rushes from one excitement to the next, never thinking much about other people, but she developed wonderfully), her much more staid friend Mabel, daughter of Socialist campaigners, Jericho, who has a secret and is Uncle Will's ward, Theta and Henry, who live in the same building as Uncle Will and are part of the Ziegfield follies, Sam, a pickpocket searching for his mother, and finally, Memphis, a Harlem numbers runner and poet, who once had healing powers. Most of these teenaged characters have visions of a storm gathering over empty fields and a man in a stovepipe hat. The are Diviners, people with special abilities who are making a comeback. Not all of them are centrally concerned with the Naughty John killings, a plot which is wrapped up in this first installment, but I'm sure they will come into their own in future volumes. 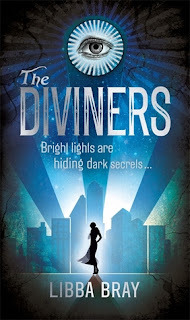 The Diviners is intricately plotted and historically detailed, with some quite scary horror sequences, great characters, and a real sense of American history, especially in terms of religion and superstition. I am very much looking forward to the next two books.